This article is about the academic degree. For other medical qualifications, see medical school. For professional who practices medicine, see physician. A medical doctor with the International Medical Corps examines a woman patient at a mobile health clinic in Pakistan. Ghanaian medical doctors doing ward rounds at Komfo Anokye Teaching Hospital in Kumasi, Ghana. The Doctor of Medicine (Latin: Medicinae Doctor, meaning "teacher of medicine," abbreviated M.D.) is a terminal medical degree for practitioners of medicine. The meaning of the degree varies between different countries. In countries that follow the United States system, the M.D. denotes a first professional graduate degree awarded upon initial graduation from medical school. Elsewhere, such as those countries that follow the tradition of the United Kingdom, Doctor of Medicine denotes a research doctorate, higher doctorate, honorary doctorate or advanced clinical coursework degree that is only available to those who have been previously awarded a first professional qualification in medicine. In those countries, the first professional degree is titled differently, such as Bachelor of Medicine, Bachelor of Surgery in countries following the UK tradition. University medical education in England culminated with the MB qualification, and in Scotland the MD, until in the mid-19th century the public bodies who regulated medical practice at the time required practitioners in Scotland as well as England to hold the dual Bachelor of Medicine and Bachelor of Surgery degrees (MB BS/MBChB/MB BChir/BM BCh etc.). North American medical schools switched to the tradition of the ancient universities of Scotland and began granting the MD title rather than the MB beginning in the late 18th century. The Columbia University College of Physicians and Surgeons in New York (which at the time was referred to as King's College of Medicine) was the first American university to grant the MD degree instead of the MB. A feminine form, "Doctress of Medicine" or Medicinae Doctrix, has also been used by the New England Female Medical College in Boston in the 1860s. 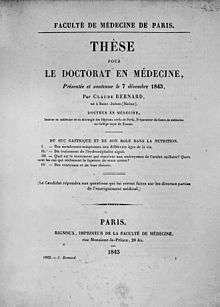 In the United States, the MD degree is awarded by allopathic medical schools as "Professional Doctorate", which are accredited by the Liaison Committee on Medical Education (LCME), an independent body sponsored by the Association of American Medical Colleges and the American Medical Association (AMA). The Doctor of Osteopathic Medicine (DO) degree, which is awarded by osteopathic medical schools, is the only professional equivalent to the MD degree in the United States and Canada. Osteopathic medical schools are accredited by the Commission on Osteopathic College Accreditation (COCA), an independent body sponsored by the American Osteopathic Association (AOA). The sole difference between the MD and the DO degrees is the additional musculoskeletal training in osteopathic manipulative treatment (OMT). Admission to medical schools in the United States and Canada is highly competitive, and in the United States about 17,800 out of approximately 47,000 applicants received at least one acceptance to any medical school in recent application years. Before entering medical school, many schools require that students complete a four-year undergraduate degree and take the Medical College Admission Test (MCAT); however, some medical schools require only a certain amount of undergraduate coursework (but not degree completion) before the start of the medical curriculum. Before graduating from a medical school and achieving the Doctor of Medicine degree, most schools require their students to take the United States Medical Licensing Examination (USMLE) step one and both the clinical knowledge and clinical skills parts of step two. The MD degree is typically earned in four years. Following the awarding of the MD, physicians who wish to practice in the United States are required to complete at least one internship year (PGY-1) and pass the USMLE Step 3. In order to receive board eligible or board accredited status in a specialty of medicine such as general surgery or internal medicine, they undergo additional specialized training in the form of a residency. Those who wish to further specialize in areas such as cardiology or interventional radiology then complete a fellowship. Depending upon the physician's chosen field, residencies and fellowships involve an additional three to eight years of training after obtaining the MD. This can be lengthened with additional research years, which can last one, two, or more years. In Canada, the MD is the basic medical degree required to practice medicine. McGill University Faculty of Medicine is the only medical school in Canada that continues to award the MD, CM degrees (abbreviated MDCM). MDCM is from the Latin "Medicinae Doctorem et Chirurgiae Magistrum" meaning "doctor of medicine and master of surgery". Upon graduation, students enter into a residency phase of training. Prior to obtaining independent practicing license from a provincial regulatory body, students must complete the Medical Council of Canada Qualifying Examination to obtain the Licentiate of the Medical Council of Canada (LMCC) qualifications. Even though the MD and DO are first professional degrees and not doctorates of research (i.e., a PhD), many holders of the MD or DO degree conduct clinical and basic scientific research and publish in peer-reviewed journals during training and after graduation; an academic physician whose work emphasizes basic research is called a physician-scientist. Combined medical and research training is offered through programs granting MD-PhD or DO-PhD degrees. The National Institutes of Health (NIH) through its Medical Scientist Training Program funds MD-PhD training programs at many universities. Some MDs and DOs choose a research career and receive funding from the NIH as well as other sources such as the Howard Hughes Medical Institute. A few even go on to become Nobel Laureates. The United States Department of Education and the National Science Foundation do not include the MD or other professional doctorates among the degrees that are equivalent to research doctorates. The entry-level first professional degree in these countries for the practice of medicine is that of Bachelor of Medicine and Bachelor of Surgery (MBBS, MB, MB BCh BAO, BMBS, MBBChir, or MBChB). This degree typically requires between four and six years of study and clinical training, and is equivalent to the North American MD degree. Due to the UK code for higher education, first degrees in medicine comprise an integrated programme of study and professional practice spanning several levels. These degrees may retain, for historical reasons, "Bachelor of Medicine, Bachelor of Surgery" and are abbreviated to MBChB or MBBS. In order to be eligible to apply for an MD degree from a UK or Commonwealth University one must hold either an MBBS, MBChB, or an equivalent US-MD degree and must usually have at least five-years of postgraduate experience. Therefore, graduates from the MBBS or MBChB degrees do not hold doctorates; however, physicians holding these degrees are referred to as "doctor" as they are fully licensed as medical practitioners. In some commonwealth nations, these interns are designated as "house officers". At some other universities (especially older institutions, such as Oxford, Dublin, Cambridge and St Andrews), the MD is a higher doctorate (similar to a DSc) awarded upon submission of a portfolio of published work representing a substantial contribution to medical research. The University of Cambridge is proposing to introduce a new degree of MedScD (more akin to the ScD degree) awarded on the basis of a career's contribution to the science or art of medicine, rather than a thesis, for which a candidate may be awarded the MD degree. At the end of the sixth year, they need to pass a national ranking exam, which will determine their specialty. Indeed, the first student gets to choose first, then the second, et cetera. Usually, students work hard during fifth and sixth years in order to train properly for the national ranking exam. During these years, actual practice at the hospital and some theoretical courses are meant to balance the training. Such externs' average wage stands between 100 and 300 euros a month. In the Netherlands, students receive three years of preclinical training, followed by three years of clinical training (co-assistentschappen, or co-schappen) in hospitals. At one medical faculty, that of Utrecht University, clinical training already begins in the third year of medical school. After 6 years, students graduate as Basisartsen (comparable to Doctors of Medicine). As a result of the Bologna process, medical students in the Netherlands now receive a bachelor's degree after three years in medical school and a master's degree upon graduation. Prospective students can apply for medical education directly after finishing the highest level of secondary school, vwo; previous undergraduate education is not a precondition for admittance. The Belgian medical education is much more based on theoretical knowledge than the Dutch system. In the first three years, which are very theoretical and lead to a university bachelor's degree, general scientific courses are taken such as chemistry, biophysics, physiology, biostatistics, anatomy, virology, etc. To enter the bachelor course in Flanders, prospective students have to pass an exam, as a result of the numerus clausus. A second alternate qualification termed DNB [Diplomate of National Board], is considered equivalent to the MD and MS degrees. This can be obtained by passing the exam conducted by the National Board of Examinations after completing 3 years of post-MBBS residency training in teaching hospitals recognised by the board. The College of Physicians & Surgeons of Bombay, India (Established 1912) also awards higher postgraduate degrees in clinical and pre-clinical specialties, called FCPS; it involves three years of study and the successful completion of an examination, which includes both theoretical and practical elements, and a research thesis and a viva. The FCPS is representative of specialty clinical training, and equivalent to MD/MS/DNB in India, or Ph.D. or Professional Doctorates in other parts of the world. Until 2007, the Government of India and the Medical Council of India recognised the FCPS qualification - since then, this is being done by State Medical Councils. In Indonesia, the title of "dokter" (dr.) is awarded after a Medical student received their Bachelor in Medicine (Sarjana Kedokteran; S. Ked) after 3-3.5 years of study (at least) and 1.5–2 years of clinical course in university hospitals. After a medical student finished those five years of study and take Hippocrates Oath, The title of Dokter (dr.) is entitled before their name. Then they need to take Ujian Kompetensi Dokter Indonesia (UKDI, test to get license to practice medicine as general practitioner) then take a year-long internship course in primary health care clinics (also known as Puskesmas) or primary hospitals all over the country to practice as general practitioner under supervision of senior doctors. Those who wished to further their study into specialties can take graduate course of medicine of their preference and will be entitled with "Specialist of ..." after their name (e.g. : Sp.A for Spesialis Anak = Pediatrician). Graduate course of medicine is equal with residency program which is required the candidates to study for four years and hospital internship. (Note: dr. (dokter) is used for medical graduates, while Dr. (Doktor) is used for PhD holders. In Iran, Medical education begins after high school. No pre-med course or BSc degree is required. The eligibility is determined through the rank applicants obtain in the public university entrance exam being held every year throughout the country. The entry to medical school is competitive and only students with the highest rank are accepted into medical program. The primary medical degree is completed in 7-7.5 years. Medical graduates are awarded a certificate in general medicine, called "Professional Doctorate in Medicine" validated by the "Ministry of health and Medical Education of Iran". All physicians will obtain license and medical council registration number from the "Medical Council of Iran" before they officially begin to practice. They may subsequently specialize in a specific medical field at medical schools offering the necessary qualifications. There are five university medical schools in Israel, including the Technion in Haifa, Ben Gurion University in Be'er Sheva, Tel Aviv University, the Hebrew University in Jerusalem and the Medical school of the Bar-Ilan University in Safed. They all follow the European 6-year model except Bar-Ilan University, which has a four-year program similar to the US system. However, as of 2009, Tel Aviv University has introduced a four-year program similar to the US system for students with a bachelor's degree in certain biological sciences. The entrance requirements of the various schools of medicine are very strict. Israeli students require a high school Baccalaureate average above 100 and psychometric examination grade over 740. The demand for medical education is strong and growing and there is a lack of doctors in Israel. The Technion Medical School, Ben Gurion University, and Tel Aviv University Sackler Faculty of Medicine offer 4-year MD programs for American students who have American college degrees and have taken the MCAT interested in completing rigorous medical education in Israel before returning to the US or Canada. The degree of Doctor of Medicine (MD) is legally considered to be equivalent to master's degree due to Israeli Educational System . In Pakistan the MD is a higher doctorate, awarded by medical universities based on successful completion of a residency program of four to six years' duration in a university hospital. All the government medical Colleges in Pakistan are under Pakistan medical and dental Council. Before getting admission into any private medical college in Pakistan you have to make sure that it is recognized by University of Health sciences (UHS). Romanian medical schools lasts for 6 years (including clinical practice) and concludes with a final licensing examination (licența), which is based on the dissertation of the student's original research. The degree awarded is that of Doctor-medic (Medical Doctor), abbreviated as "MD", or more commonly "Dr."
The American Duke University has a medical school based in Singapore (Duke-NUS Graduate Medical School), and follows the North-American model of styling its first professional degree "Doctor of Medicine" ("MD"), consid. By contrast, the Yong Loo Lin School of Medicine at the National University of Singapore confers MB BS as the first professional degree. The Thai medical education is 6 years system, consisting of 1 year in basic-science, 2 years in pre-clinical training, and 3 years for clinical training. Upon graduation, all medical students must pass national medical licensing examinations and a university-based comprehensive test. After medical school, newly graduated doctor are under contract to spend a year of internship and 2 years of tenure in rural areas before they are eligible for any other residency positions or specialized training. The students will receive Doctor of Medicine (MD) degree. However, the degree is equivalent to master's degree in Thailand. In Poland the title of lekarz (physician, medic) or "lek." is granted after completing a 6-year Master's medical program (although students apply to it directly after graduating high school). In contrast, a higher doctoral academic research degree in medicine resembling a PhD is named "dr n. med." or doktor nauk medycznych (Doctor of Medical Sciences). Specialization is valued similarly to a specialization in the English system and is a pre-requisite for a "dr. n. med." which is usually defined within the same field. In Mexico and Perú, schools of medicine award the "Título de Médico Cirujano" degree after completing either six or seven years of study. This curriculum includes a rotating internship year and a year of social service providing care to an underserved community. In Serbia and Croatia, the title of "doktor medicine" (abbreviated "dr. med.") is awarded upon completion of six years of study at a Faculty of Medicine ("medicinski fakultet") directly after high school. In Slovenia, the title of "doktor medicine" (abbreviated "dr. med.") is awarded upon completion of six years of study at one of the two Slovenian Faculties of Medicine ("medicinska fakulteta") in Ljubljana or Maribor. 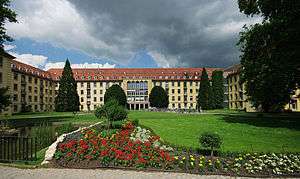 Studying at these faculties is only possible if the student has finished a Gymnasium/Grammar School ("gimnazija") with a general dimploma called "splošna matura". In Japan, "Doctor of Medicine (MD)" is awarded from the government, after graduating a medical university or college with 6-year curriculum and passing the national examination. In Portugal, to practice Medicine, a Masters in Medicine (awarded after a 6-year Integrated Masters Program in Medicine) is mandatory. Before the 2007 Bologna Process, the same course was only a Licentiate Degree. After the 6-year program, students must go through the Specialty Exam (which is not an evaluation), and then a year of Medical Internship. When the internship ends, the students are placed in their choice of Medical Specialty, according to their ranking in the formentioned Specialty Exam. Only when each student finishes the Medical Internship and the first year of their Specialty, will they be allowed to practice Medicine without supervision. Entry to the Integrated Masters Program in Medicine is done directly after High School, based on the student's grade - each year there are about 1500 new Medical Students in Portugal, in 8 different Medical Schools. ↑ "Professional Doctorate in the US" (PDF). Wblearning-ejournal.com. Retrieved 2015-03-31. ↑ "Physician Education, Licensure, and Certification". Ama-assn.org. Retrieved 2011-05-05. ↑ "NRMP: Residency Match: U.S. Seniors". Nrmp.org. Retrieved 2011-05-05. ↑ "International Practice Rights Map". American Osteopathic Association. Retrieved 22 May 2013. ↑ "Washington University School of Medicine Requirements". Medadmissions.wustl.edu. Retrieved 2013-05-01. ↑ "Structure of the U.S. Education System : Research Doctorate Degrees". Ed.gov. Retrieved 2015-03-31. ↑ "Titles in English". www.laeger.dk. Danish Medical Association. 5 February 2001. Retrieved 10 April 2016. ↑ "University and degree systems in France" (PDF). Af-ksa.com. Retrieved 2015-03-31. ↑ "Medical degrees in Israeli Educational System" (PDF). Handouts.aacrao.org. Retrieved 2015-03-31. ↑ "Duke-NUS Graduate Medical School Singapore". Duke-nus.edu.sg. Retrieved 2015-03-31.